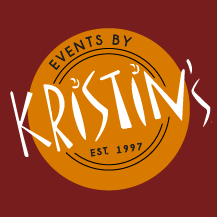 Established in 1997, Events by Kristin's filled a unique niche in the Niagara Region by being one of the first companies to offer full event planning, coordinating and catering, all in one package. “One stop shopping" has become our trademark. 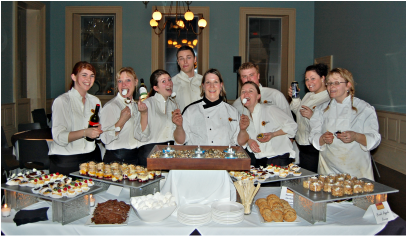 Events by Kristin's has quickly become one of Niagara’s leading event planning and catering specialists. From intimate dinner parties to large-scale beach weddings, our talented circle of service providers are dedicated to paying attention to the smallest details. Talented chef and event planner, Kristin, will work with you to creatively showcase your vision for your reception food. Her team of talented and award winning chefs will design a menu suited to your individual tastes. Our menus focus on locally farmed products utilizing seasonal fruits and vegetables. We are known for providing organic (upon request), all natural foods and catering to special dietary menus, such as gluten-free, vegan and vegetarian. As an award-winning chef, Kristin Davies has been cooking up locally driven menus for over 28 years. Having moved here from the East coast, Kristin brings her passion for fresh, local products to every menu she designs. Close relationships with local farmers allow us to bring you fresh, no nonsense, farm to table ingredients for creative, fun menus. Kristin and her talented staff are always creating unique food ideas. Our savory Martini bar and desserts/pastries have been requested as far away as London and Toronto, Ontario. Kristin will be your first contact when meeting with us, her almost obsessive attention to detail and meticulous organization skills, have brought our clients back again and again because they know their event will be executed flawlessly. Behind every great leader there is a talented and dedicated team. We have been blessed to have an amazing team of talented chefs, servers, managers and bartenders for many years. All smart serve certified. Born, raised and schooled in the prettiest town in Canada, Niagara on the lake, ON, Samantha brings a wealth of knowledge about all things weddings in the Niagara region. As one of our certified wedding planners Samantha will be your first point of contact and will assist you with planning your wedding from start to finish. Employed with Events by Kristin’s since 2009, Samantha has gained invaluable skills and knowledge to aid our couples with the flawless execution of their wedding. Newly married herself, she is fully aware of the stresses involved in planning a wedding. Our couples over the years have told us time and time again that we helped them remove some stress by our attentive attention to detail and our organizational skills. Samantha will plan and execute your wedding, as if it were her own. Happy Planning!